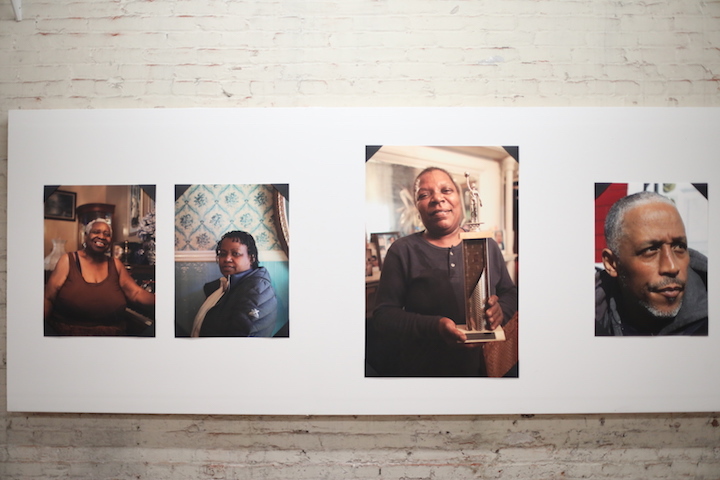 Preview the exhibit with photos from our community opening in May. 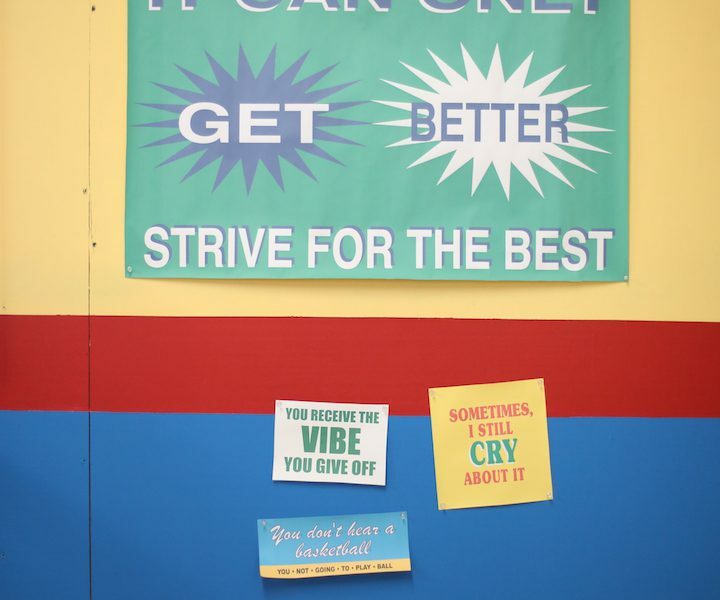 This 2500 square foot art exhibit is an exploration of the past, present and future of the Hartranft Playground basketball courts, newly renovated in a partnership with The Philadelphia 76ers and The City of Philadelphia. Renowned Philadelphia photographer Shawn Theodore, hip hop collective Ill Doots and experimental composer Michael McDermott collaborated intensively for 6 months with neighborhood coaches, players, parents and leaders to create a series of portraits, in photo and audio, of the courts and their guardians in the neighborhood. 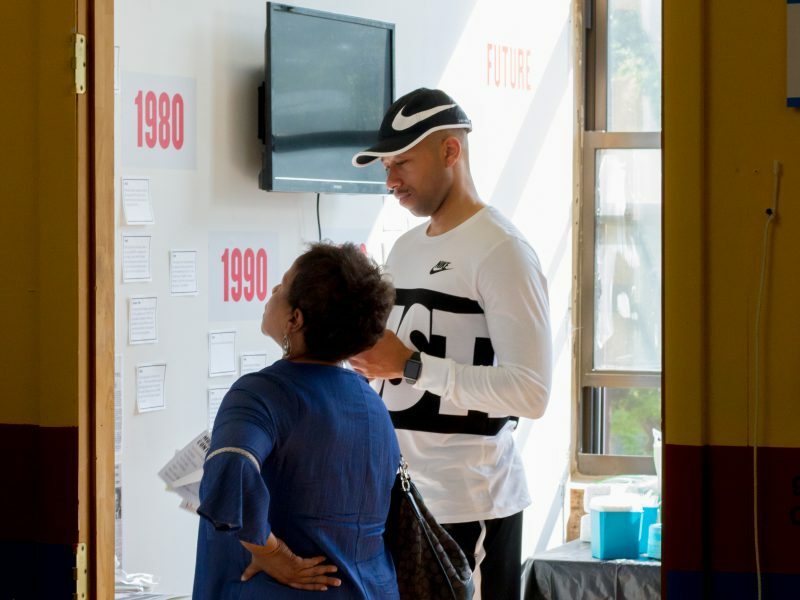 The exhibit also features a community museum, a timeline including community stories and excerpts from Temple’s Urban Archives, and an audio listening booth featuring original music based on community memories. 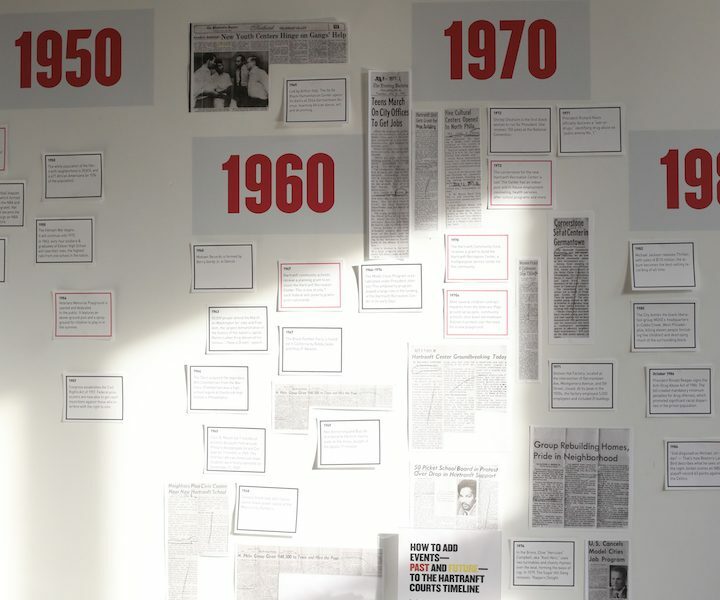 The exhibit has already been open for 1 month to community members, who have added additional stories, texts, and images before the public opening on the 28th. The opening will feature live music and food by local caterers. On Thursday, June 28, The Village of Arts and Humanities, the Sixers Youth Foundation and the Philadelphia 76ers, The City of Philadelphia, and members of the Fairhill-Hartranft community, will unveil the creative placemaking project, “Home Court: The Hartranft Basketball Court Revival.” This 12-month project, designed in collaboration with Local Initiative Support Corporation (LISC,) turns the renovation of a vital, but severely disinvested, local basketball court into a “revival” by leveraging this substantial investment in infrastructure to spark a sustainable reawakening of the community’s civic power and cohesion. 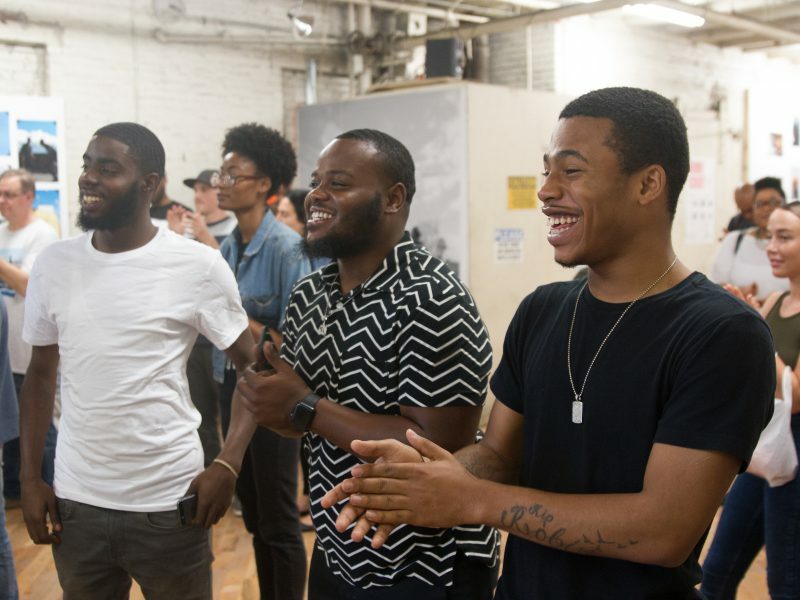 The Village and renowned Philadelphia artists Shawn Theodore, Ill Doots and Michael McDermott worked in intensive collaboration with neighborhood coaches, players, parents and leaders to create a 3,000 sq. foot participatory art exhibit exploring the courts’ past, present and future. On June 28th, the 76ers, City Council President Darrell L. Clarke, The Village and community members will host a Ribbon Cutting Block Party. 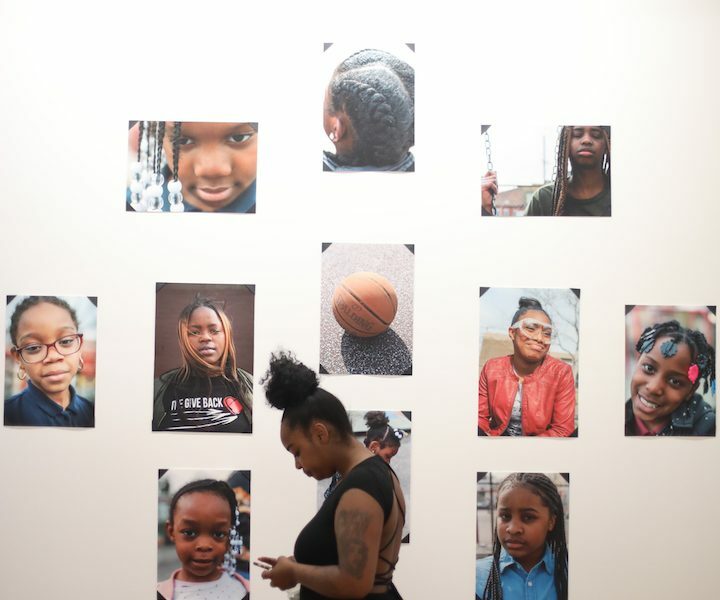 The event will begin at 3 p.m. inside the exhibit space at 2519 Germantown Ave. Community members will perform original music written collaboratively for the occasion, and then, carrying art banners featuring new court “entry agreements” will walk in procession to the newly renovated courts. The following Block Party will feature 76ers-run basketball clinics for youth, performances by the Sixers dancers and local musicians, and the first public viewing of the participatory art exhibit from 6-9 p.m. The “Home Court” project began when the Sixers Youth Foundation and 76ers approached LISC to help them identify a neighborhood basketball court in need of renovation. LISC connected with long time partner, The Village of Arts and Humanities, to identify Hartranft Basketball Courts at 9th and Cumberland streets, as a key location for this investment. 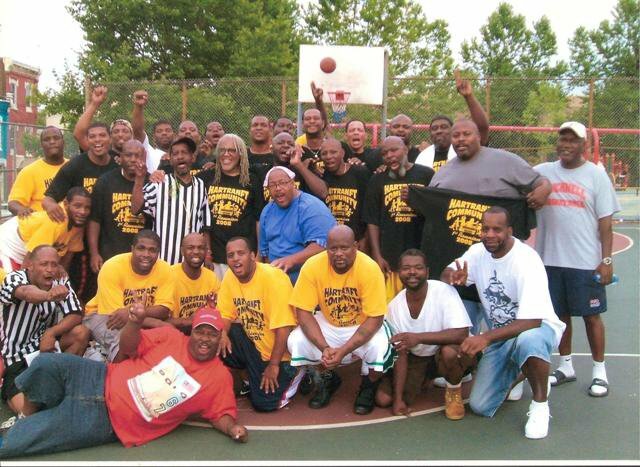 The courts are a beloved cultural hub that have served many generations. 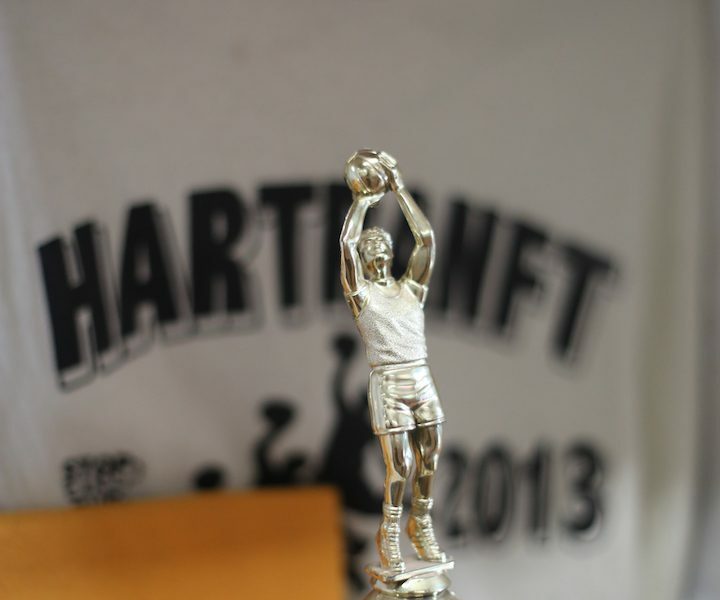 However, after the closing of the adjoining Hartranft Community Center in the late 2000s, disappearance of funding, and the loss of a teenager to violence at the courts, coaches found it difficult to build cohesion among volunteers and maintain safe, healthy recreation for young people at the space. 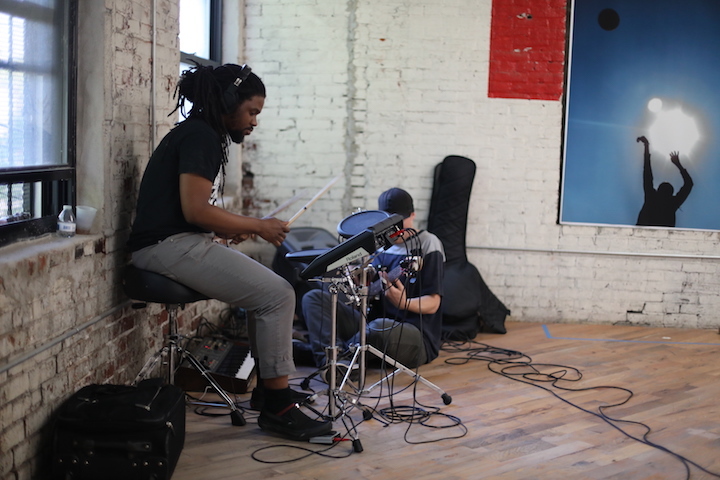 For almost 30 years, The Village of Arts and Humanities has supported the voices and aspirations of its community in North Philadelphia through providing opportunities for self-expression rooted in art and culture. The Village is a nationally-recognized model for the power of the arts to stabilize and revitalize underserved communities, and annually impacts approximately 5,000 youth and families, enlists the help of approximately 600 volunteers, and serves a 260-square block target area of North Philadelphia bordered by 5th and Broad, Diamond and Glenwood Streets. Each year, over 600 regional and international visitors trek to North Philadelphia to witness the transformative work it has accomplished. Philadelphia LISC catalyzes resilient and inclusive communities of opportunity – great places to live, work, visit, do business and raise families. We receive our funding from banks, corporations, foundations and government agencies. We, in turn, use that funding to provide financing (loans, equity, and capacity building) and technical and management assistance to local partners and developers. LISC has invested $435 million (and leveraged $1.5 billion) in Philadelphia’s neighborhoods to build or preserve 8,500 affordable homes and to develop 2.3 million square feet of retail, community, and educational space since 1980. Philadelphia LISC is one of 31 local offices across America. Overall, LISC has invested $18.6 billion and leveraged $56.2 billion in neighborhoods and rural communities across the United States. 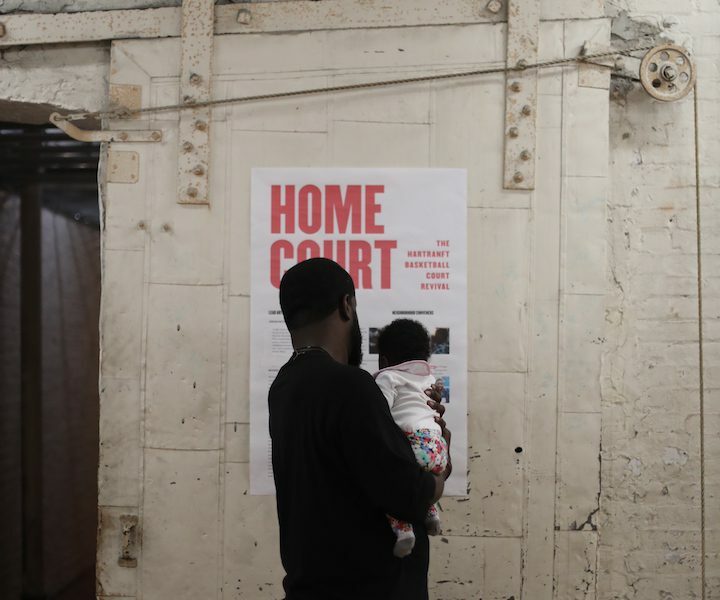 On Sunday, May 20, "Home Court" opened to over 100 community members who joined for food, music and to give feedback on the exhibit.